Always in agreement with your skin threads. All of these would be very welcome. 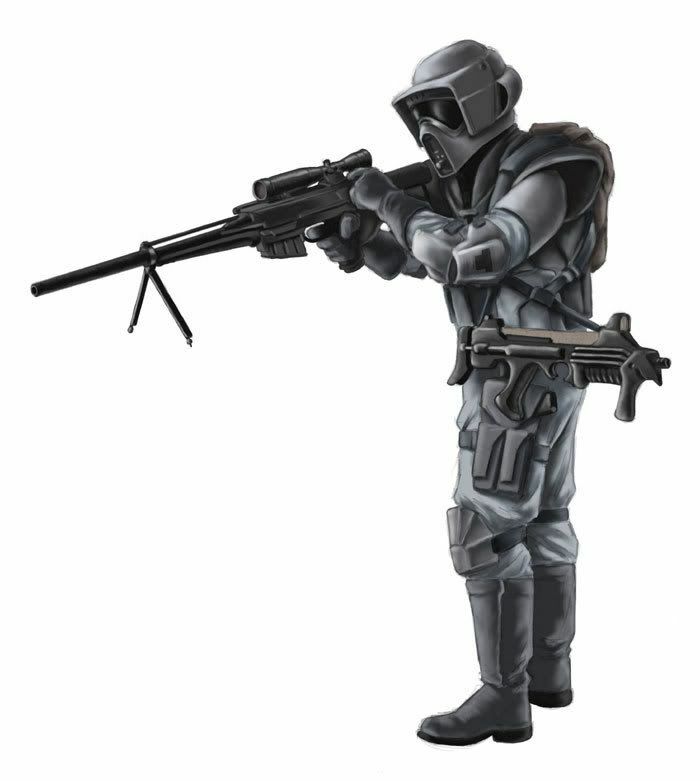 Skin for the Imperial heavy or assault. 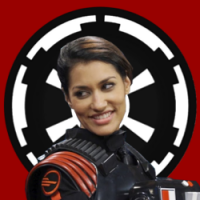 Inquisitor trooper. 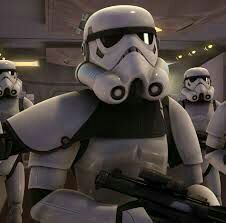 They are technically clone troopers but only ever fought for the empire so they would be a cool skin. 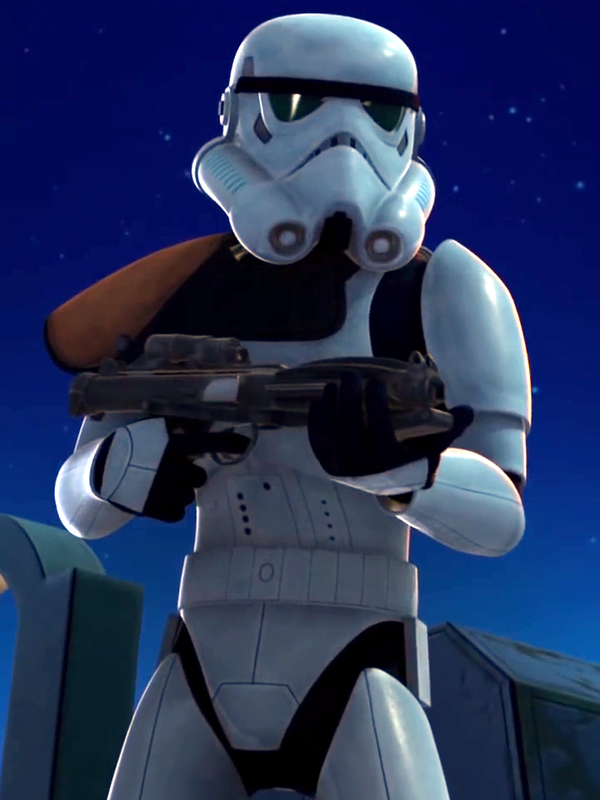 Wouldn't be that hard of a skin to make since its mostly just black colored mismatched clone armor. I would put the Magma trooper as the base skin on any lava planet they add and then make the Lava trooper a higher quality one. Lovely. I like that you separated each as different posts, they'd all be excellent. 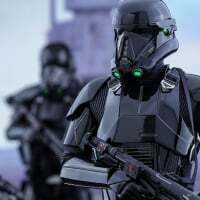 I know that they've technically been replaced by the Death Troopers, but I'd love a Shadow Trooper back as a high-level Assault skin. That or a reinforcement, any way to get 'em back in! 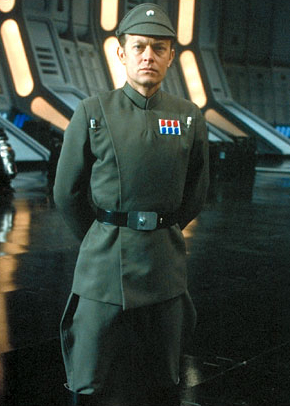 Dennis Already said no Shadow troopers. I am guessing because of their questionable canon status. 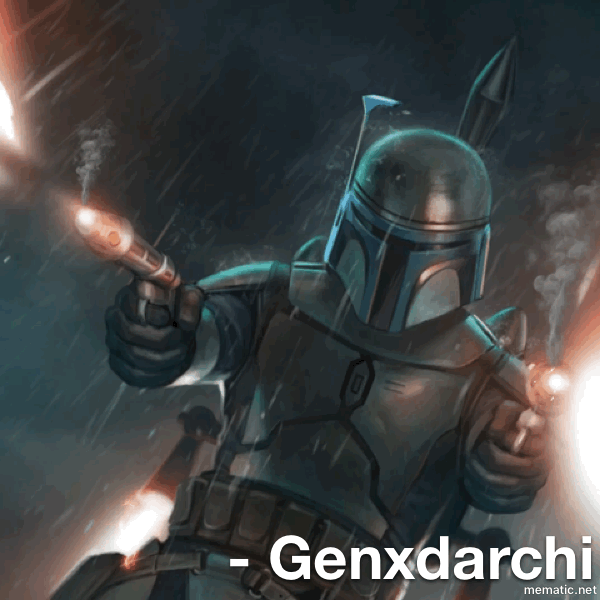 They only appeared in Battlefront 2015 and the Konami card game. Unless they appear in the comics or TV show as well I don't think we will see them as a skin. Go convince one of the comic book writers to put them in a book and then we might get a skin. Great post, a good work. Always in agreement with your skin threads. Nice. 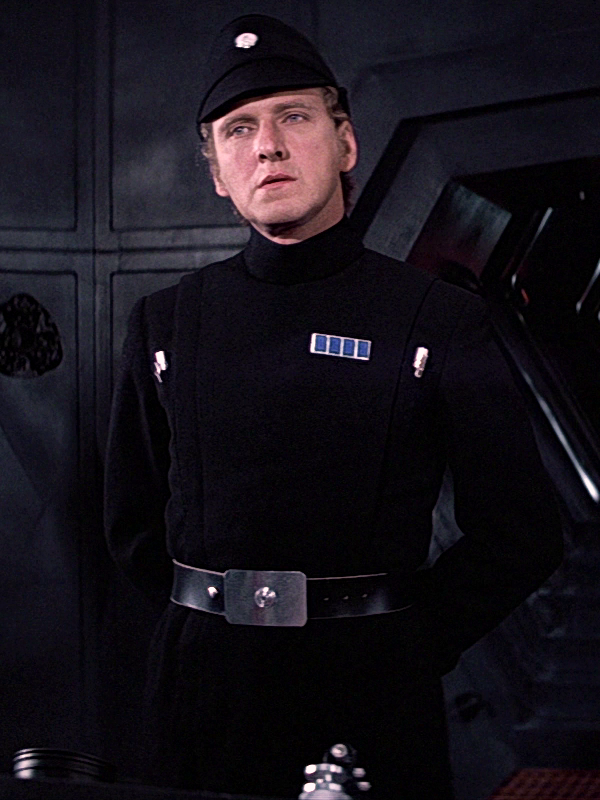 The magma guard I'd say is an environmental-gear skin, for lava planets like Mustafa and Sullust, or maybe in the core reactor areas of capital ships. That said, I wouldn't mind too much if it were a skin for Heavy or something, it's fairly innocuous. Cool thread Jack... I do like that stormtroopers don’t stand out from the crowd, but a little more customization is needed. 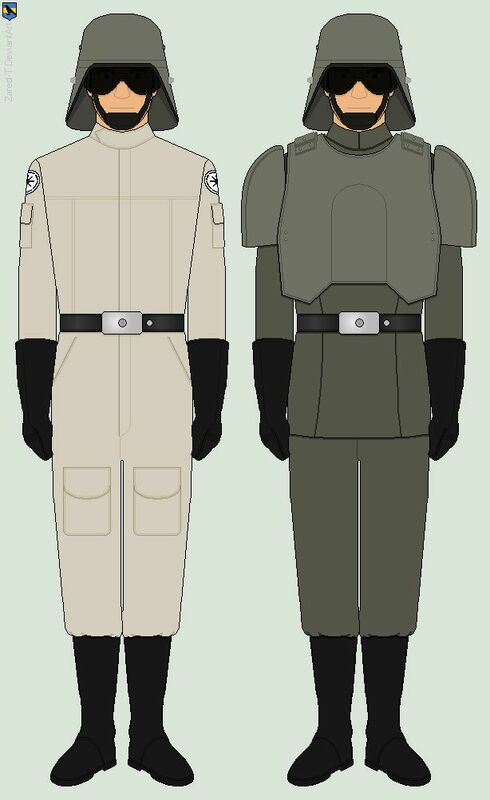 Would love to see the AT-AT driver and black officer uniform. Nice! 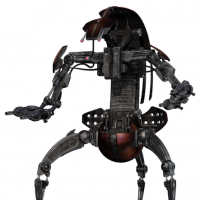 I'd probably still make them environmental, since they're still basically lava troopers. 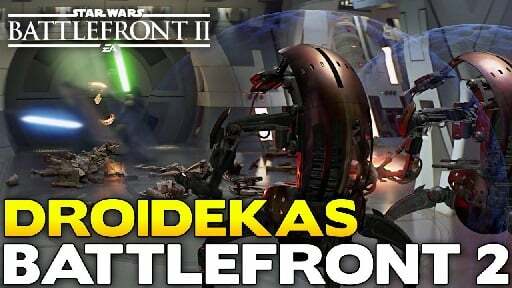 Maybe on Sullust and Mustafar maps, the AT-AT Driver becomes the Lava Trooper...? 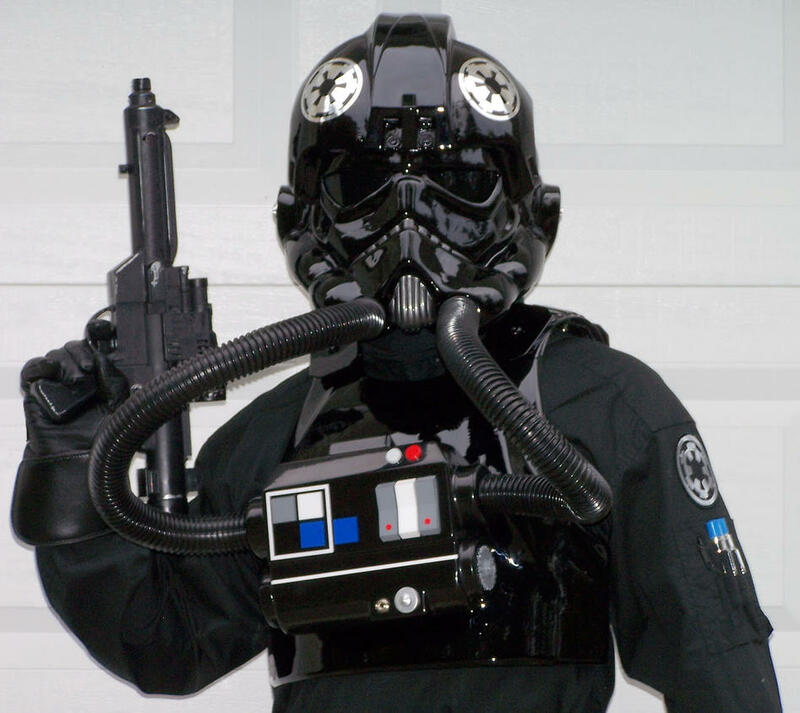 Or it could be a skin for Imperial Enforcers. 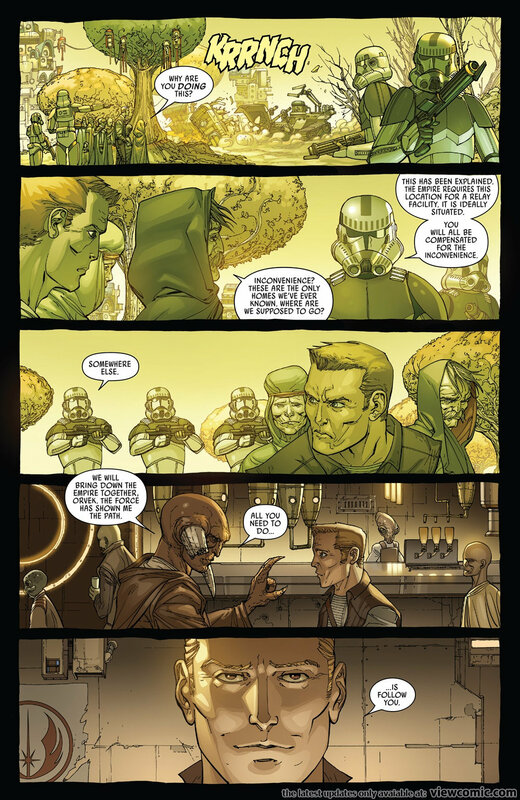 As I understand it, Patrol Troopers are basically urban police, not soldiers. It'd be kind of like putting a 1917 police officer into Battlefield I, as a class. 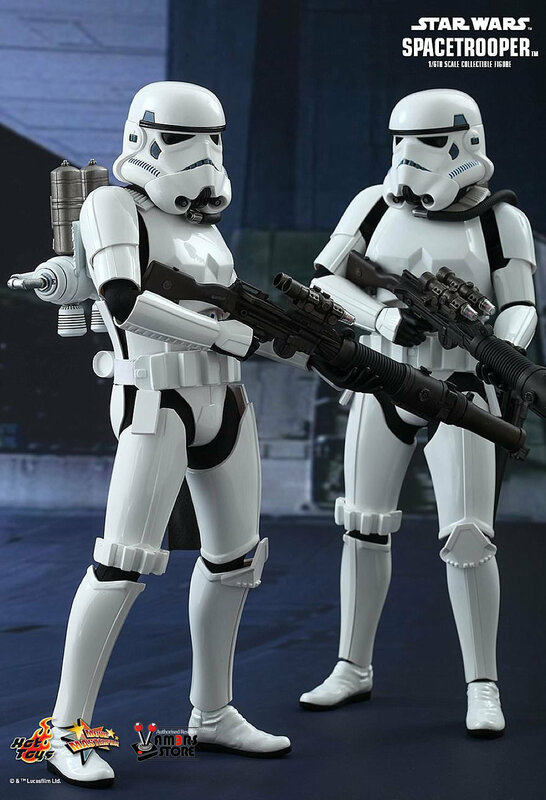 But I think they are part of the Stormtrooper corps, so... maybe military police? Still not likely to be seen on the Battlefield. 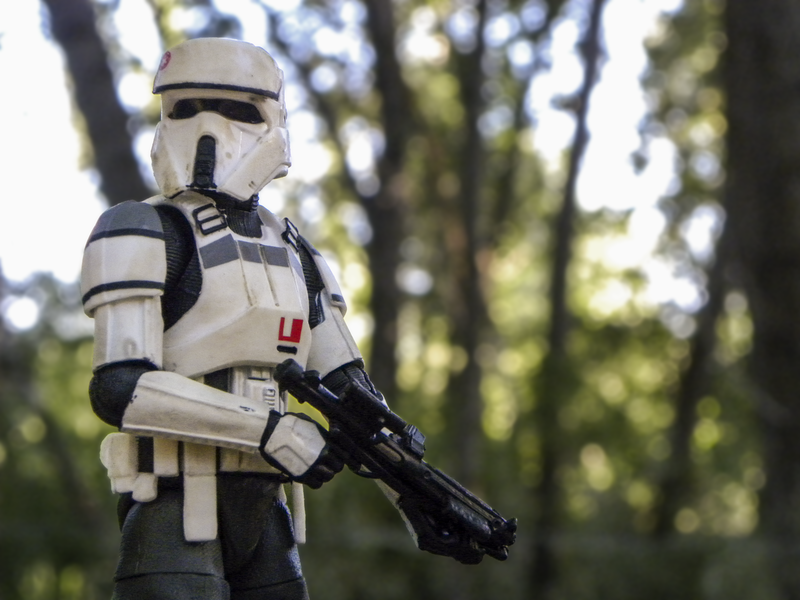 If I were to put them in, I'd say it would be best as a free, automatic alternate look for Scout Troopers on urban maps. Bespin, Mos Eisley, Theed, Coruscant, etc. Really hope to see at least some of those skins finally being added this year. They definitely need more imperial skins. 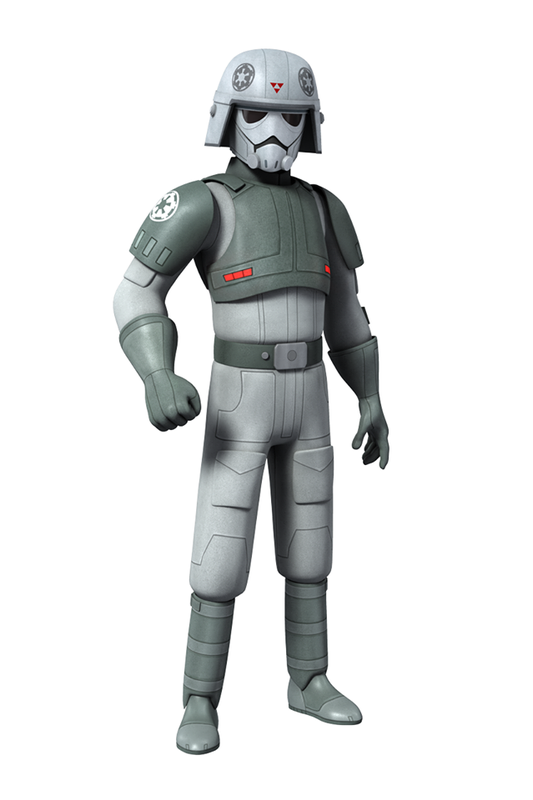 With the movies and Rebels adding more trooper types, they could load up a lot more than they have. Anyone have any idea what these troopers are supposed to be. They are not listed as anything on the wiki. Their markings are similar to Shock troopers but a little different. They might just be shock troopers but the artist drew them different. 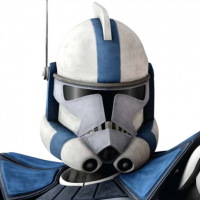 The chest coloration goes down farther than shock troopers. 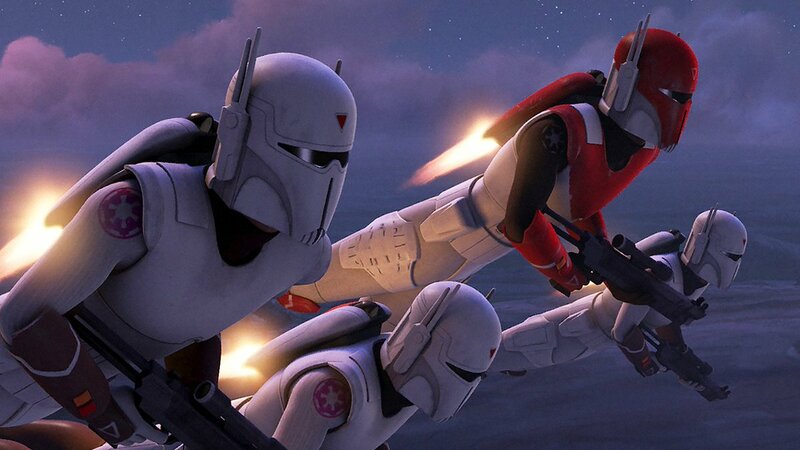 Their Helmets are also a little different like a combination between phase 2 clones and Storm trooper helmets. Interesting. Looks like a midpoint between phase-2 Coruscant Guard clones and Imperial Shock Troopers -- a sort of "phase 3" like Empire_TW said...? I fixed the images that weren't working, by the way. 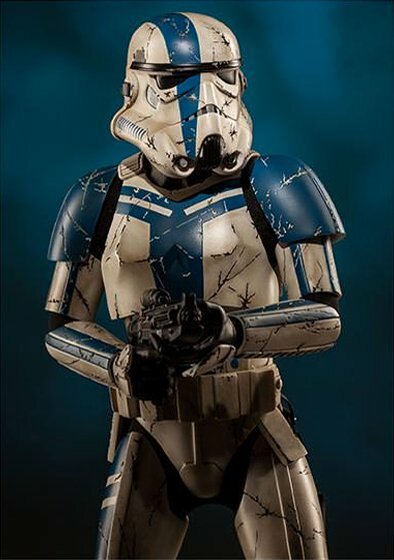 I'm sorry but i love this trooper armour. I say again... Dice! Listen to this man! 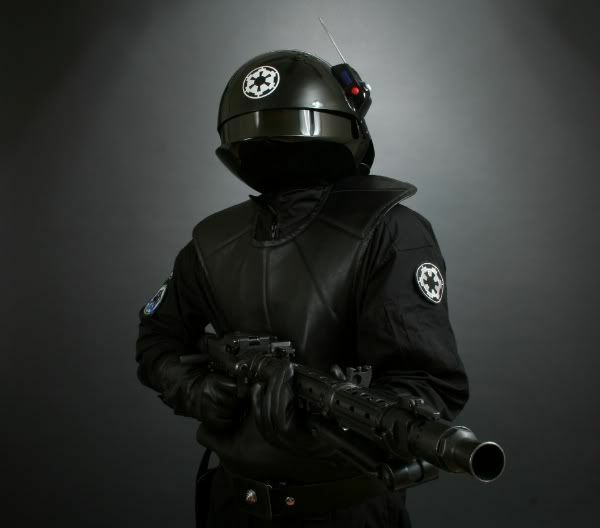 Whaddya think about the Shock Trooper -- max level Heavy, or mid-level Enforcer? Jack, your ideas are cool. 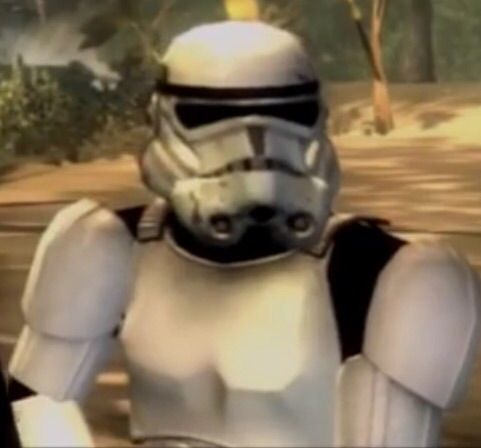 But the reality is EA won't accept the assault trooper with a pauldron because it's the basic characteristic to identify heavy stormtrooper in this game. 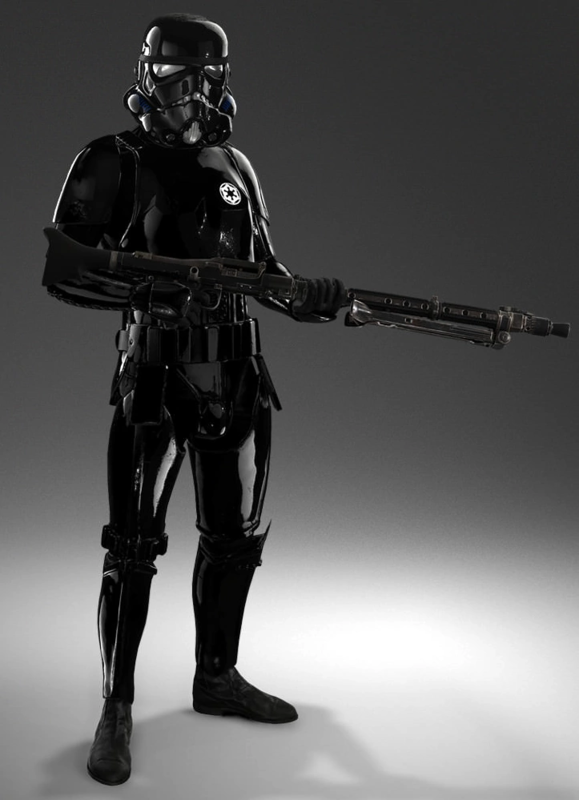 IMHO i would remove all troopers with pauldron of your assault class selection. I would put those in heavy class. Jack, your ideas are cool. 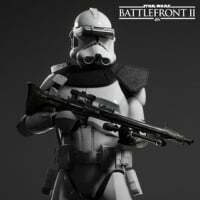 But the reality is EA won't accept the assault trooper with a pauldron because it's the basic characteristic to identify heavy stormtrooper in this game. Nope, you're thinking of the backpack. AT-AT Driver - lol, what about the AT-AT Driver says "fast-moving soldier who pushes the front lines" to you? 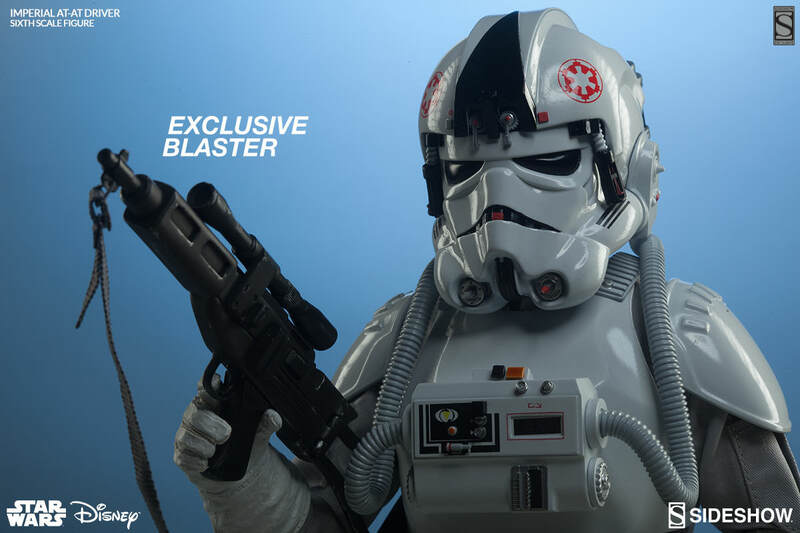 IMHO the AT-AT driver can't be heavy trooper because the drivers normally use short rifles. Same in the real life. Ok Swamp troopers are specialized in some ambients like swamps. 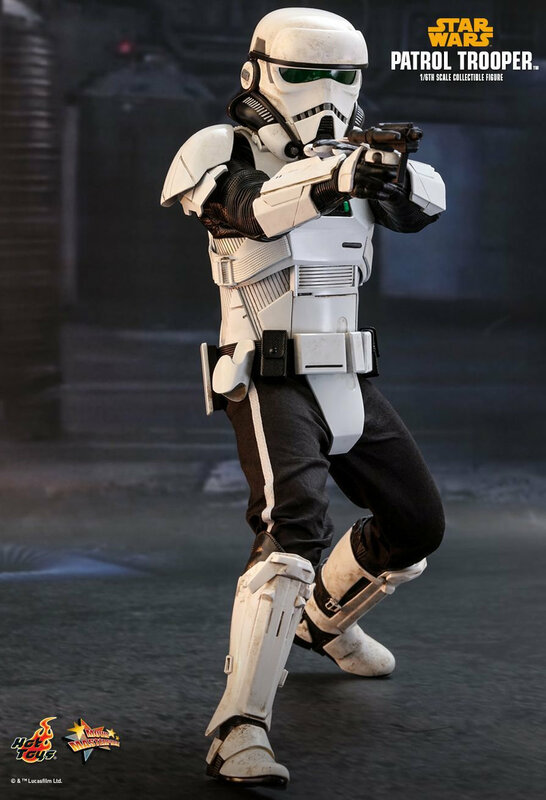 But their armour really hasn't big difference comparing with the Storm troopers or officers with field armour. You see a Snow trooper and you think about snow and cold protection. You see a Swamp trooper and you don't think "swamps". We mustn't be so limited. Battlefront 2015 was funny with Shore troopers in the snow of Hoth. Being conservative the game could control the some skins with the objective that those can't be used in so specific maps like Hoth. 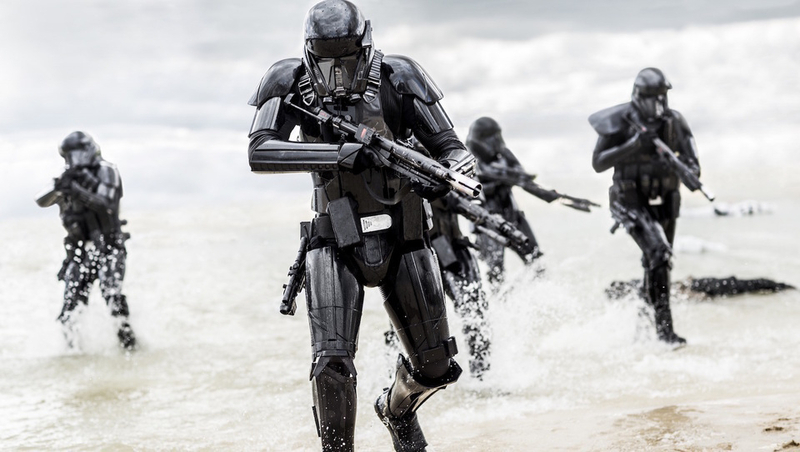 But the solution isn't to put the Shore troopers like default skins in Scarif because really the normal stormtroopers are the default trooper in Scarif. Nova Guard, Shock Trooper and Tank Trooper Skins are the Best. Ok Swamp troopers are specialized in some ambients like swamps. 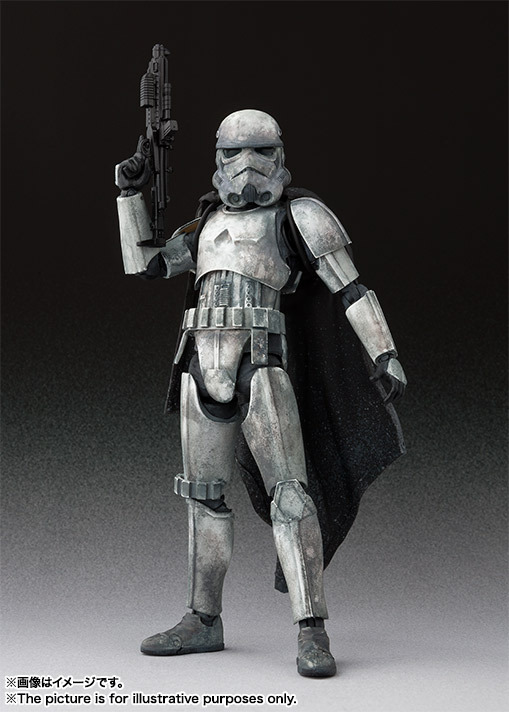 But their armour really hasn't big difference comparing with the Stormtroopers or officers with field armour. 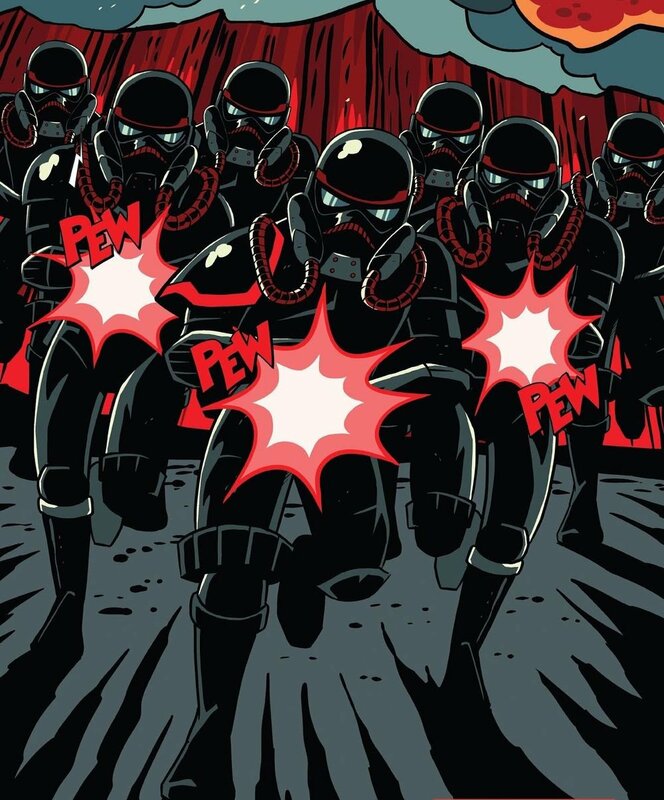 "Due to the often hazardous nature of the various worlds the Empire found itself subjugating, Swamp Troopers wore special gear for eye protection and to filter out potentially deadly substances." You see a Snow trooper and you think about snow and cold protection. You see a Swamp trooper and you don't think "swamps". You don't, maybe. I most definitely do. A Swamp Trooper not in a swamp / mud map would look just as goofy and out-of-place as a Snowtrooper not in the snow, or a Shore Trooper not on the shore. We must absolutely be do limited. If I want to play a game with "funny" in it, I'll play Mario Mushroom Chuckle-And-Smash or whatever the teens are into now. 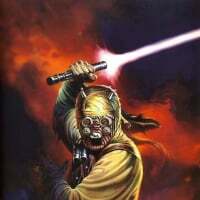 When I play a Star Wars game, I want it to at least give the impression that it takes Star Wars seriously. 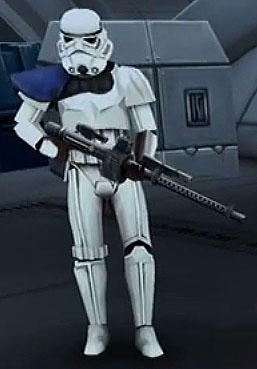 the solution isn't to put the Shore troopers like default skins in Scarif because really the normal stormtroopers are the default trooper in Scarif. 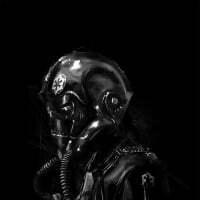 "Pulling the strongest Imperial soldiers to become the next generation of AT-AT pilots, many considered themselves nearly unbeatable. " 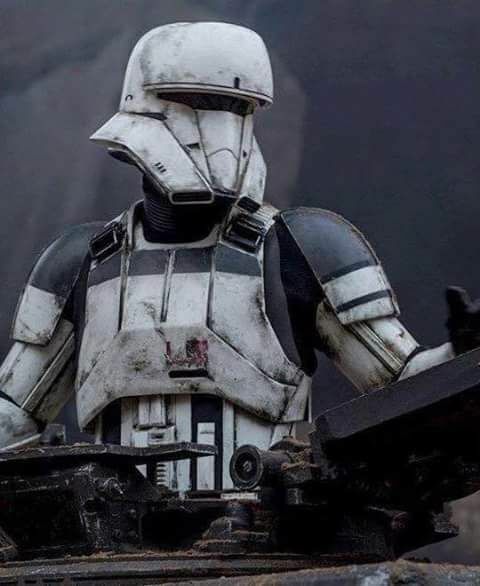 Tough and hardy, sounds good for Heavy Troopers to me. 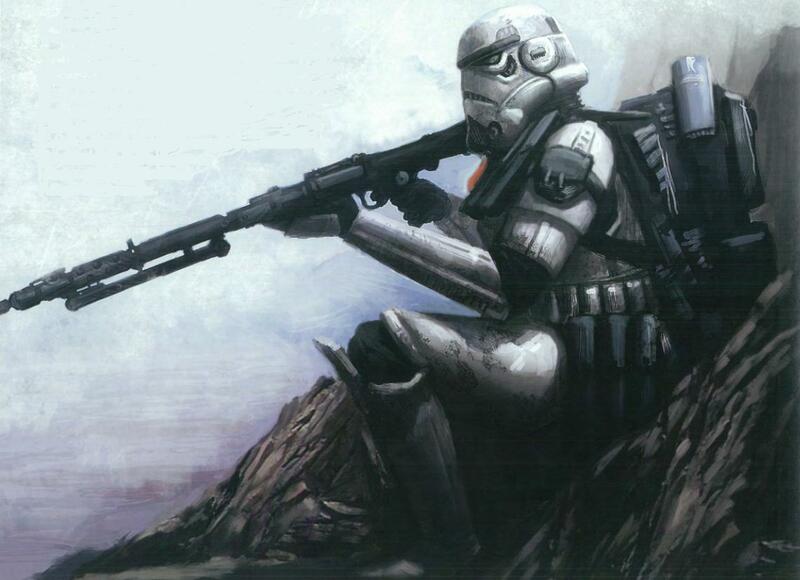 "Along with sporting a reinforced helmet and life-support pack on their chest, AT-AT pilots also had a standard blaster pistol, thermal detonators and grenades for potential ground-based encounters." So they carried pistols. If we're going by blaster type alone, AT-AT pilots would (like most pilots) be Officers. The same happen with the Wet-weather gear stormtrooper. Where we put the AT-ATC driver? Ooh, neat. Hadn't seen him before! I don't know anything about them... I tend to put Drivers in the Heavy class, but I'm starting to wonder if the Officer class might be better. 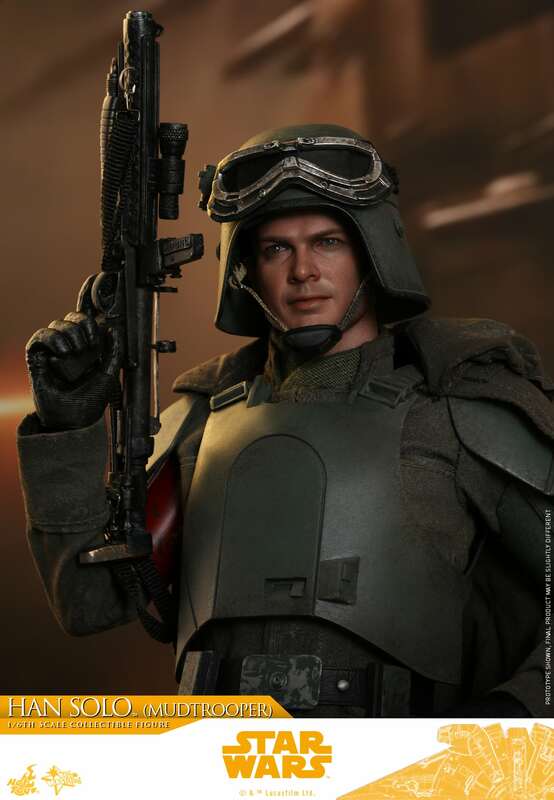 I did just learn that there are two classes of tank troopers, the Pilot and the Commander. I'd say two levels of Heavy, for them. Definitely well-armored and good for Heavy. Love skins. Wish we could get all these in a single patch. However i dislike how the player has to unlock these at certain levels. That's one of the best parts, IMO. 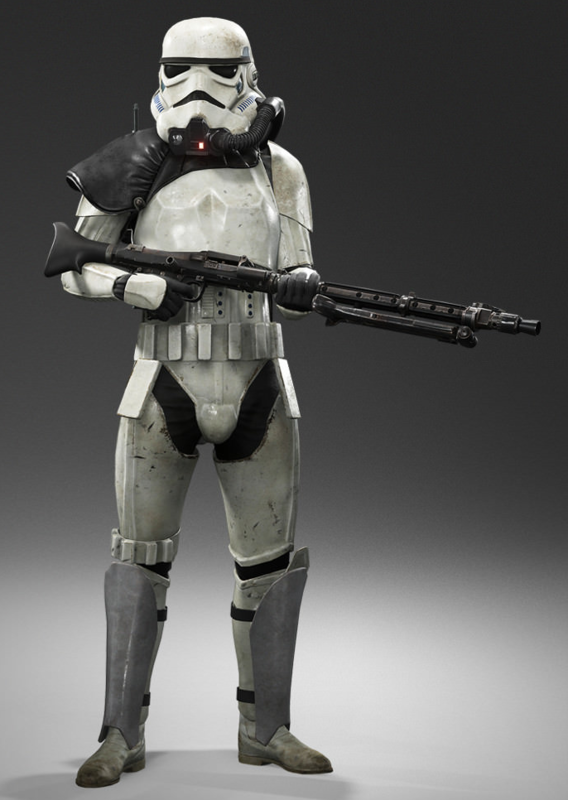 First, it keeps the more rare skins from flooding the game ("Why are there no Stormtroopers any more??"). 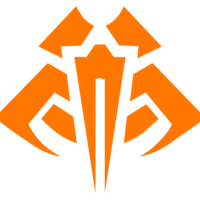 And second, it gives you a sense of rank and accomplishment -- if you want the awesome, super rare, elite skins, then you'd better be an awesome elite player, or at least a player who has spent a lot of time and effort on the game. 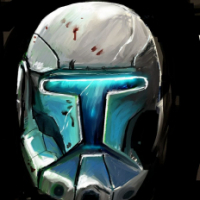 When I see a Storm Commando, or an ARC Trooper, I want to know that player is a really skilled high-ranking player, or at least someone who spent a lot of time playing the game... not just some noob who bought the game and thought the all-black dude looked cool. 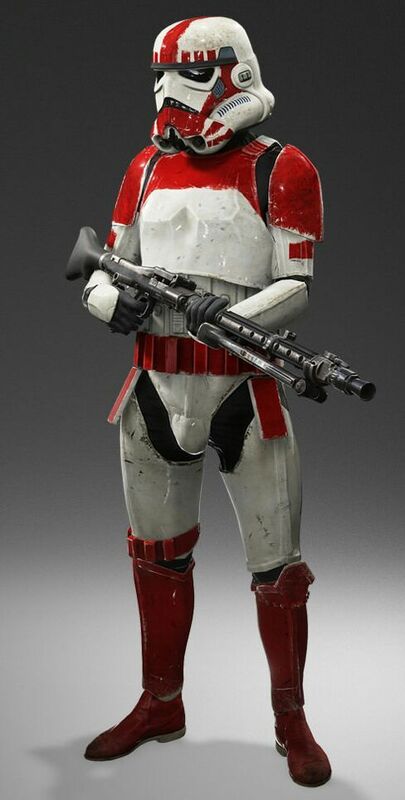 I would love to see them add in some Imperial skins like these. I agree with all skins, and I'm also in favor of providing non-canon skins as well. This game is not canon, it's so obvious it hurts. Restricting creativity and the amount of content in a game for the sake of "lore" is just silly because it's a multiplayer shooter. I constantly see the lore vs gameplay argument in every franchise I love and it's infuriating. Can you imagine how much less fun Goldeneye 007 would have been if they excluded big head mode and paintball mode because it's not "lore"? How about removing the Birthday Party or High Voltage armor effects from Halo Reach because a few ppl didn't like them, while the large majority of players either didn't care or loved them? Truth is that developers LOVE when people use the excuse of lore and canon because it means they have to do less work and can be lazy. 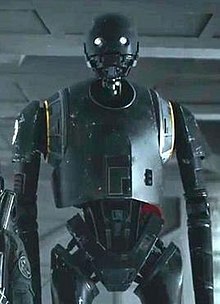 I say bring on the Pink Darth Vaders, put a bow tie in Chewy's hair, heck, lets throw in a paint ball mode and big head mode while we're at it too! Games are supposed to be one thing: fun. Excluding skins and other content for dumb reasons is not fun. 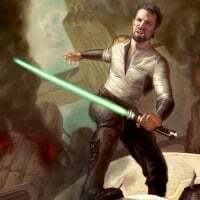 I agree with all skins, and I'm also in favor of providing non-canon skins as well. Here's my main belief: if a skin looks cool, it belongs in the game. I can both agree and disagree with this. First of all, more content is generally good. But what looks "cool" to one person looks terrible to another. I've seen posts asking for Batman and Spider-Man clone armor, Hello Kitty Stormtroopers, Barbie-themed Rebels, Legend of Zelda Rebels, Power Rangers Clones. That all sounds terrible to me, and would push me out of playing the game at all. Most of the people I know who play would stop playing too. This is why the concept of "canon" exists -- it's the minimum we can all agree on as being Star Wars. This game is not canon, it's so obvious it hurts. They are actually quite carefully accurate, for the most part. Disney demands that they are. The only real exception to this is the cross-era heroes, and the only problem with that is that it spread out of the Hero modes and into the Assault modes. Why does the fact that a game is a Multiplayer shooter somehow meanits okay for it to look lame and ridiculous? I keep seeing people use that argument, but I don't see it having any weight. I'd very much rather not ever see any of those skins, but if enough people wanted them, I guess I wouldn't mind too terribly much as long as they were restricted to dream matches and fantasy modes like HvV. What creates fun for one person can kill fun for another, or for dozens of others. I had to stop playing GA entirely, since between the cross-era heroes and the hero spam in general I stopped being able to enjoy it. Many players would give up on the game entirely if it lost what little sense of authenticity it has. I know I would. Never played those, don't know anything about them. 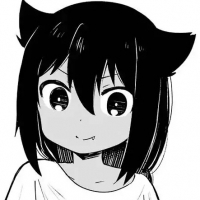 But it sounds like those two modes you're talking about are dream matches and fantasy modes, so I wouldn't mind them being added if people wanted them. As long as they didn't spread into the Assault Modes, which are meant to be more immersive and authentic. well good for you you can play as a super soldier now. But guess what else happened? Oh yeah, the entire fall of the franchise and it's main player base. 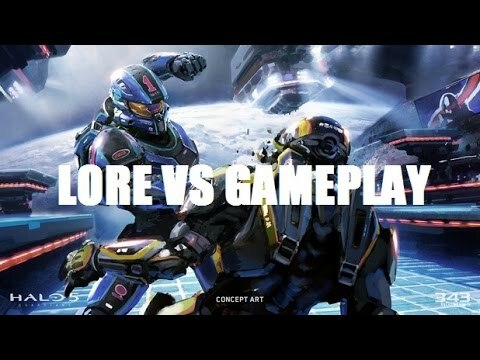 still think that implementing gameplay features for the sake of lore is a good idea? Halo 4 dying within one year doesn't seem to validate your point very well. crazy how people like you boast with pride about being partially responsible for the crappy games we have in our generation. ignorance is bliss, I suppose. 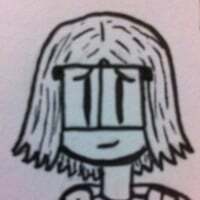 You cannot exclude game content simply because "another player might not like it" Simply because you or anyone else doesn't like it, doesn't mean that millions of others wouldn't. Yes, I agree, Hello Kitty, Spider Man, all that is a bit too much, but something a bit edgy or weird not being put in for the sake of "a few people might not like it" is just a non-argument and lazy. Do I like all the skins in Gears of War 4? No. Am I going to quit the game just because I played against someone using a color-blasted Kait skin? No lol I would have to be very childish and immature to do so. If you quit a game because small things like that bother you THAT much, then you ought to rethink why you play games in the first place. Being nit picky about stuff like that is never good, and it's not good to appeal to people like that because then you get games like this that are washed out as all heck for the sake of people who "might not like" the crazy stuff. I won't even waste your time listing all the things in this game that are not canon, but if you really look at it under a clear lense, you'll see that this game is so canonically inaccurate it's ridiculous to think that Disney uses that excuse to exclude content from the game. Their stingy attitude toward making more content in the games is not from concerns about the dignity and stature of the franchise, it's about saving money; plain and simple. You cannot fall for all the **** PR they put out as a gesture to justify their actions. It has a lot of weight actually. Using the Lore vs Gameplay argument as a way to design games is one of the worst things that has ever happened to gaming. And nobody said anything about making it look lame and ridiculous. You know what does look ridiculous? Having almost all identical soldiers on a battlefield spamming the hell out of anyone they see and using little to no strategy at all to win against the enemy. Yeah, I think that's a bit more ridiculous than having a silly skin. I can agree with this too. I'm not saying that I personally want Pink Vader, but I'm well aware that there are tons of people out there that would want him. 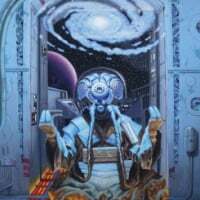 I'm speaking on behalf of the people who don't always browse the forums and reddit or whatever and could possibly appreciate things like that. This is going to be in every game. It's just up to the developers to decide what is going to be fun for the majority of players while making the obvious sacrifice of other players who will not enjoy it. This is a reality of practically ever form of entertainment: tv shows, movies, games, so forth. The biggest problem with this game is that it excludes way to many players with it's design model. -good players being rewareded with powerful units and therefore dominating even more. the list goes on. 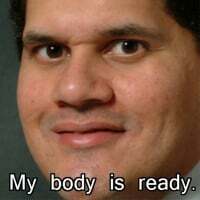 HOPEFULLY this large scale game mode that they're hypin' up is a mode thats fun and accessible for everyone, because at the moment, each mode in the game seems to be ran by good players. obviously a ranking system in certain modes could fix this, but you and I both know they won't be doing this. I guess this is just what happens when they make an entire game casual. Obviously something like big head mode or paintball mode would be it's own playlist. Also, you need to go play them. Like now. 007 Goldeneye and Halo are two games that are partly why shooting games on consoles are even a thing. You may not enjoy them because you're apparently from a different generation, but for people like me, it's clear to see what they have done for the genre, and it pains me to see what shooters have become compared to what they used to be. my main point: games main priorities are having fun, but clearly in this age they seem to have lost their identity on what their true purpose is. 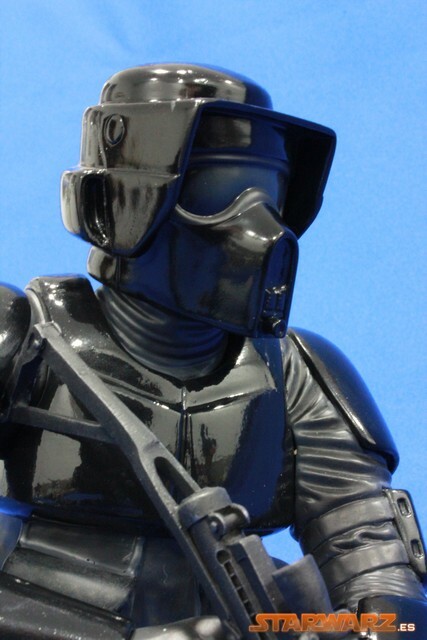 It is very easy to customize an imperial trooper, Empire does have a lot of trooper skins, the problem is that empire doesn't receive too much love in this game and i don't know why. the empire practically has zero skins. 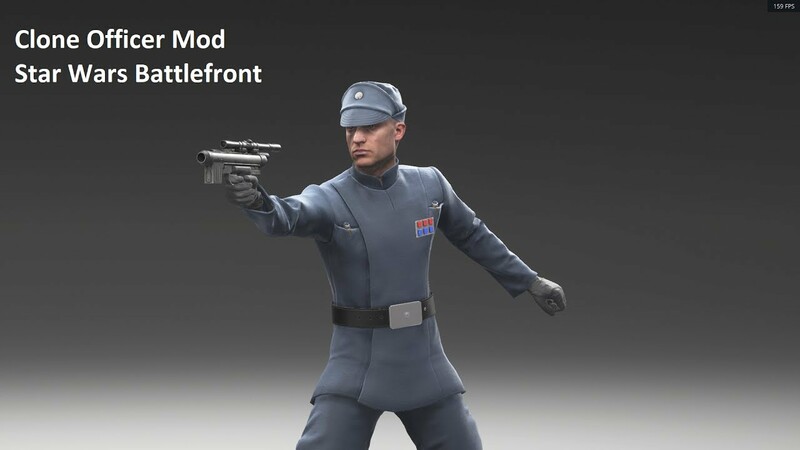 The only difference in the officer skins is the face; that's it. no difference helmet or uniform color, no goggle's removed, no different officer rank on the chest, nothin'. This game has some of the most lazy customization I've ever seen. Halo 4 died for many completely unrelated issues, the franchise went downhill for MANY. OTHER. ISSUES. Not just 1 very minuscule detail that still, to this day, has had no major effect on how the games were/are made. Now lets stick to the topic, shall we?